The law is full of terms and titles that can seem mystifying to the average person who's just trying to plan his estate. They can be even more daunting for individuals who are faced with stepping in and managing the estate of someone who is recently deceased. "Personal representative," "executor" and "trustee" are some of the titles you'll encounter. Some of the distinctions are minor and some are more significant. 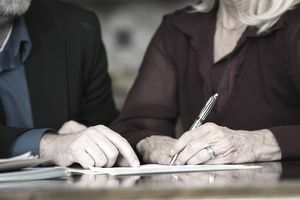 Personal representatives, executors, and trustees are all fiduciaries – a term that means they're entrusted to ethically and fairly deal with the affairs of others – but they can play very different roles in your estate plan. These terms are often used interchangeably, with good reason. Executors and administrators are both personal representatives. Think of "personal representative" as an umbrella term for these other two roles. The difference between them is whether did or did not leave a will. A personal representative is appointed by a judge to oversee the administration of a probate estate. It can be a person, an institution such as a bank or trust company, or a combination of both. If the decedent left a last will and testament, it most likely names the individual he wanted to handle this responsibility. In most cases, the judge will honor the decedent's wishes and appoint this person. When a personal representative is nominated to the position in a will, he's commonly called the executor of the estate. Even if the decedent did not leave a will, his estate must be probated and someone must oversee this process. To some extent, state law dictates who the judge can appoint to serve as the estate's personal representative. For example, some states require that the surviving spouse should serve as personal representative unless she has predeceased the decedent or she doesn't want to take on the job. If she waives this right, the judge can move down a statutory list of other individuals who can serve. When a personal representative is appointed to handle the estate of someone who did not leave a will, he's typically called an "administrator." He must pass the decedent's property to his surviving kin according to state law for lack of a will stating who the decedent wanted to receive it. A trustee is an individual named by the person who creates a trust – called a trusted maker or grantor – as part of his estate plan. The trustee oversees the day-to-day management of property that's been placed into the trust. The grantor and trustee are typically the same people when the trust is revocable. The grantor/trustee can undo the trust and take the property back from it as he sees fit. If he should become incapacitated so he can no longer handle his own affairs, the trust documents he created will typically appoint someone as successor trustee. The successor trustee would step in and take over management of the trust. He would do the same when the grantor/trustee dies, usually distributing the trust's property to its beneficiaries and closing it down. Assets held in trust do not have to pass through probate and the court is not typically involved. An irrevocable trust is one where the grantor creates it then steps aside. He appoints someone else to act as trustee, and he can't later change his mind or take the property back. In this case, the standing trustee would simply continue to manage the trust should the testator die or become incapacitated. As with a personal representative, a trustee can be a person, an institution or a combination of both.